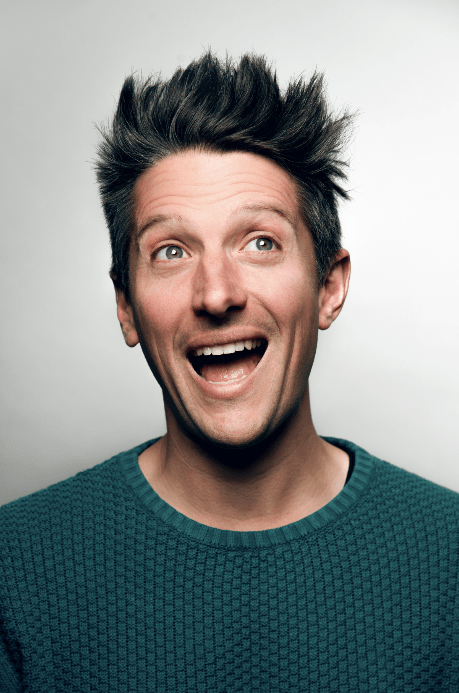 Stand up and Comedian’s Comedian podcaster Stuart Goldsmith‘s show craftsmanship just keeps getting better and better. Like I Mean It won Best New Show at the Leicester Comedy Festival earlier this year, despite still being unfinished, so it looks as though Goldsmith is set for another brilliant year in Edinburgh. Stuart is performing his free show at the Liquid Room Annexe throughout August. The chance to feel like a normal human being for an entire month, as everyone around me lives my life: thinking, talking, eating and breathing comedy! And the “macaroni pie”, which is unavailable in the real world. It was called “The Reasonable Man” in 2010, and it was about realising I’d spent my whole life trying ever so hard to be alternative, but despite my best endeavours I was actually (depressingly) normal. Oooh, probably when I stayed in a suspiciously cheap rental place in Haymarket, which turned out to have no lock on the door and effectively a bunkhouse where people wandered in and out all day. I had a watch stolen which had just been given to me by my then girlfriend. Still, I was too cheap to fork out for decent accommodation despite enjoying at the time a street-performer’s pre-boom income, so you buy cheap you buy twice, or whatever people say. “You pay peanuts you get your monkeys stolen”. Something like that. Well I’ve been lucky to have a few sparkly show-off gigs, but bringing my baby onstage at the final performance of last year’s Edinburgh show (which had been all about him) was hilarious and heart-warming and better than Wembley. Andy Daly. He’s an American improviser who did the world’s best piss-take of standup comedy. Search “Jerry Ahearn Standup” on youtube and cry laughing. He’s at the Gilded Balloon in an improv show and we shall become best friends. I’d like to come out of it with some money, a finely-tuned tour show that’s ready to take on the road, and these days due to the sobriety of fatherhood, some actual un-fogged memories for once! I don’t drink at the festival anymore, and i’m staying in a house with dear friends and two other babies, so we’re going to have wholesome super-fun and go swimming and hang out at play-parks and it’s going to be all squeaky cle- AAAAAAAAARRRGHHHHHHHH. I try to do every show as if it’s my last, yeah? Because I’m an incredibly pretentious wanker. What Else? There is some new music in this episode which is interesting for us to hear but we also receive some life lessons. For example, we learn that you should never buy cheap batteries from a dodgy market stall because your handheld fan won’t work for very long at all. Another lesson we are taught is that you should never be racist (which apparently, not a lot of people know). This is because Rick Dagless has said many racist things about the Scots when he spent the night in Glasgow: he had to learn the hard way. Familiar Faces: Kim Noble is featured a lot in this episode as Doctor Jim as he is one of the first victims of the Scotch Mist.